It seems that naming a shop or restaurant based on the street on which it is located has become quite common for food purveyors in the city of Makassar. One fine example is Warung Pangkep Sop Saudara Jl. Irian, which clearly informs us that it is situated on Jl. Irian. This establishment, which was founded in the 1970s, is the expert when it comes to sup saudara (beef soup with rice vermicelli). With one other branch to its name, this is very much a firm favorite for locals looking for a bowl of sup saudara, and many would agree it serves the best sup saudara in town. Being in close proximity to Sentral Makassar Market has lent the eatery a huge advantage in the form of huge crowds of customers almost every single day, especially considering that it is possibly the only sup saudara joint in Makassar open 24/7. I encountered a slight problem trying to obtain a place to sit there not too long ago. It was 12 p.m. sharp and the eatery was at its most packed. The hot weather outside led to quite a few sweat patches as I waited for a vacant table. After about ten minutes, I finally managed to secure the perfect spot to enjoy my lunch. I spotted a few rows of bowls just behind the counter that were ready to be filled with soup. We are able to choose from the different soup ingredients, including hati sapi (beef liver), babat (beef tripe) and kikil (cow's hoof). I opted for a mixture of beef and paru goreng (fried beef lung). 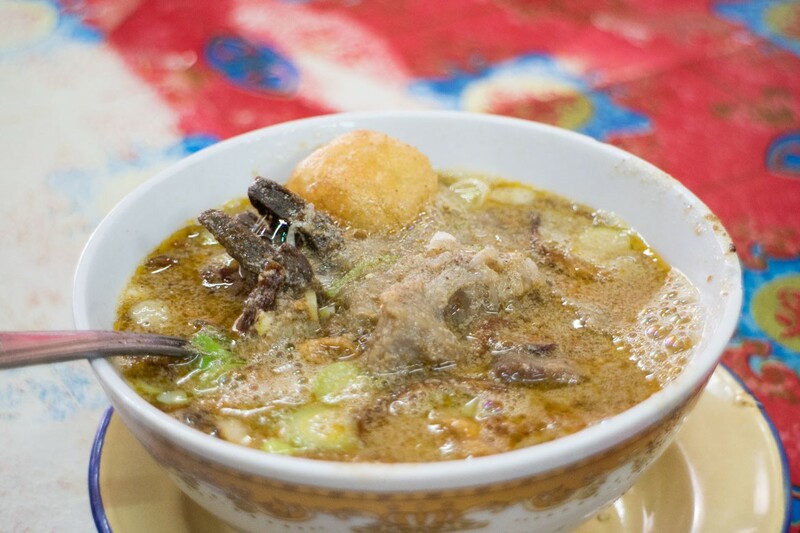 To the casual eye, the broth resembles a coto Makassar (Makassar beef soup) – including its color. What differentiates them from each another is the ingredients. Sup saudara features mihun and perkedel kentang, and each spoonful of the broth is refreshing and delectable. The addition of a few squeezes of lime and a dab of sambal are more than enough to enhance the flavor. The tender beef and crispy paru goreng are palate-indulging wonders, and in just five minutes, I had completely finished my soup. “This is the best sup saudara that I’ve ever tasted,” were the only words that I could mutter to myself afterwards. 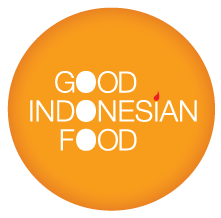 Explore more Indonesian cuisines here.